British Airways (BA) used to be called ‘the worlds favourite airline.’ Not any more. On May 27 2017, a world-wide systems failure grounded all BA flights. Check-in desks at London’s Heathrow and Gatwick and other airports around the world were unable to access passenger details. 470 flights were cancelled in London and a further 183 on the following day, with many more flights stranded around the world. Tens of thousands of passengers were left standing around for hours with no information, until being told to ‘come back tomorrow’. BA airport staff seemed unprepared for the huge numbers of stranded passengers. BA web sites and inquiry operators had little information, other than that all flights had been cancelled. Passenger baggage piled up and did not reach them for days. Compensation claims for delays and lost baggage were estimated at over £100 million. The reputation loss for BA was immeasurable. Although some immediately thought this must be a cyber attack, it was not. BA’s initial explanation for the systems breakdown was loss of power to servers on the central reservation system. Other systems reliant on access to passenger data, including the flight loading system and the baggage handling system, then shut down. IT experts suggested that with such sophisticated systems, BA must have included back-up power supplies. Indeed they had, but it emerged that the power had failed totally because a maintenance worker had turned it off. The back-up systems, a generator and batteries were working perfectly. Then, once power was restored, efforts to re-boot the systems were bungled. Some BA ex-employees, who had been laid off as a result of a head office cost cutting drive, suggested that the heart of the problem was a decision to out-source IT work to an Indian company. ‘The BA system is a legacy system that has evolved over generations of equipment and software changes,’ they said. ‘The inter-relatedness of the systems and the complexity of the data is immense. BA needed people who had grown up with the system. This is not the first time the system has failed this year.’ BA denied this suggestion. British Airways, once the country’s flag-carrier, is now a subsidiary of the International Airline Group (IAG), a Spanish company, which also owns Iberia, the Spanish airline. IAG’s shares had risen significantly in the previous year and suffered only a small fall following the BA systems saga. The CEO of IAG, Willie Walsh (who had previously headed BA) did not appear during the crisis, leaving the situation to be handled by BA’s CEO, Alex Cruz. They were both criticised for delays in offering explanations or apologies. An official raised a storm by suggesting that passengers would receive full refunds on their tickets, but BA would not pay for the cost of missed connecting flights, alternative travel arrangements, or accommodation. Subsequently, BA apologised to its customers and commissioned an independent inquiry. The British airlines’ regulator, the Civil Aviation Authority, was also called on to examine the case. How might such a situation have been avoided? – in which Bob Tricker continues his call for a radical rethink of the way power is exercised over companies by society. In a previous blog, I argued that the relationship between auditors and directors, in which directors de facto appoint the auditors who then report to them, was too close. I proposed that auditors should be appointed by and report to regulators and, through them, to other interested stakeholders. In this blog I explore the way directors communicate with their shareholders and again develop a radical alternative to accepted practice. 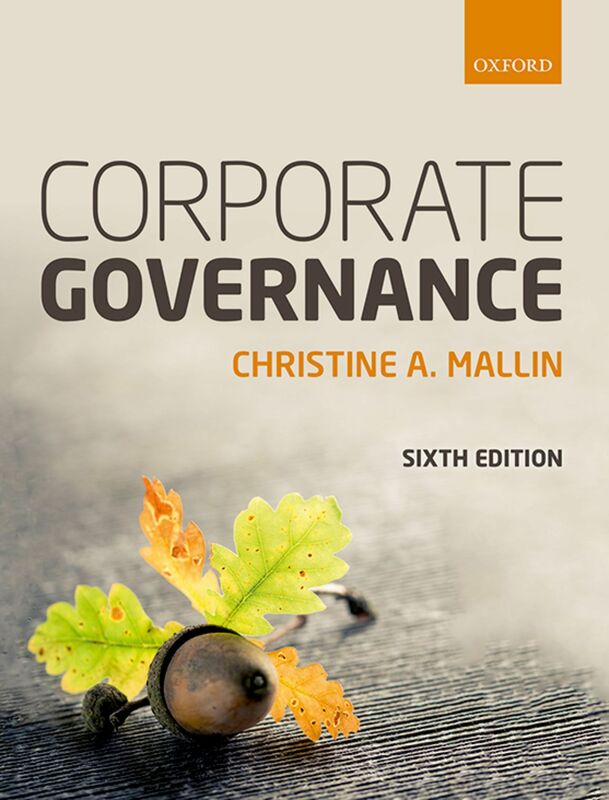 The global financial melt-down and on-going economic explosion continues to expose weaknesses in corporate governance practices and, more importantly, attitudes. Giving wider powers to regulators and introducing more regulations, as is now being proposed, will have little effect if those regulators continue to be closely associated with, and often come from, the industry they are regulating. Long standing assumptions about the way things should be done need to be questioned not reinforced. Expectations and attitudes have to change. At the heart of corporate governance are the relationships between shareholder-investors and top-management decision-makers. Shareholders’ ability to question directors and directors’ accountability to shareholders are crucial. In the 19th century that was relatively easy for the joint-stock limited-liability company. Companies were then smaller, less complex and licensed by the state to pursue a single aim, build a railway, run an iron foundry, supply a town with gas, for example. Moreover, the shareholders were individuals and could be counted in tens or hundreds. Institutional investors, mutual funds, and pension funds had yet to be invented. How different today. Complex corporate groups, with hundreds of subsidiaries, associate companies and joint ventures in pyramids, networks and geared chains, with multiple shareholders – institutional investors including hedge funds, mutual funds, pension funds, insurance companies, even sovereign funds – not just individuals. The challenge is how to communicate with them, to listen to them, and be accountable to them. The classical solution, of course, was to require meetings of shareholders so that the board could explain their stewardship of the corporate funds. That requirement still holds for the public company. But we all know the ongoing farce of meetings tightly organised by the company secretary, dominated by the chairman, with questions so restricted that communication is essentially one way, seldom providing an adequate opportunity for genuine dialogue. Companies were also required by law to provide their members with regular written reports with information laid out in company law and stock exchange listing rules. Today, electronic mail and corporate internet sites supplement the printed word. But such reporting is still one-way: company to shareholders. The opportunity for investors to seek information about their directors’ activities is limited. How can shareholders really find out what they want to know? How can they genuinely exercise power over the directors they have appointed to be stewards of their funds? Successive reports, including the British Myners Report, have called for institutional investors to play a bigger part in corporate governance. A few institutional investors, like CalPers in the United States and Hermes in the UK, together with some investor organisations, such as the Association of British Insurers have certainly made their presence felt. But others still prefer the option of ‘doing the Wall Street walk’ or voting with their feet as they say in Britain, avoiding the potential costs of getting locked-in should they get involved in governance issues. But there is another way. Anyone watching the recent grilling of directors of financial institutions by Congressional Committees in the USA and Commons Treasury Select Committees in the UK saw an alternative approach. Why should investors not be able to wield similar power? After all they actually own the companies. Who would do the grilling? It would have to be representatives of the shareholders, who have not been captured by the company and its directors. Skilled representatives from institutional investors or perhaps a new breed of professionals come to mind. In Australia, Shann Turnbull has proposed a corporate senate that might be adapted. He believes that “most corporations in the English speaking world are essentially corrupt because their unitary board structures concentrate on conflicts of interest and corporate power.” His alternative is a dual board structure with a corporate senate elected on the basis of one vote per shareholder, not per share. In his model the senate has no pro-active power, just the right to veto where it feels the board has a conflict of interest. Its members could certainly be trained to grill directors on behalf of the other shareholders. Would directors readily agree to be grilled? Of course not! Self-regulation, exhortation, or listing rules requirements would not suffice. Legislation will be needed. Shareholders, who actually are the company, would need to be given power to carry out the level of grilling and transparency given to US Congressional and UK Treasury Select Committees. Proceedings would need to be public, probably carried live through the internet and available as a record on a web site. Directors have a fiduciary duty to act in the interests of shareholders, not their own. Somehow this has been forgotten. Professional grilling by shareholders of their directors would move the original concept of directors’ stewardship, fiduciary duty, and accountability towards the reality of 21st century expectations and demands.